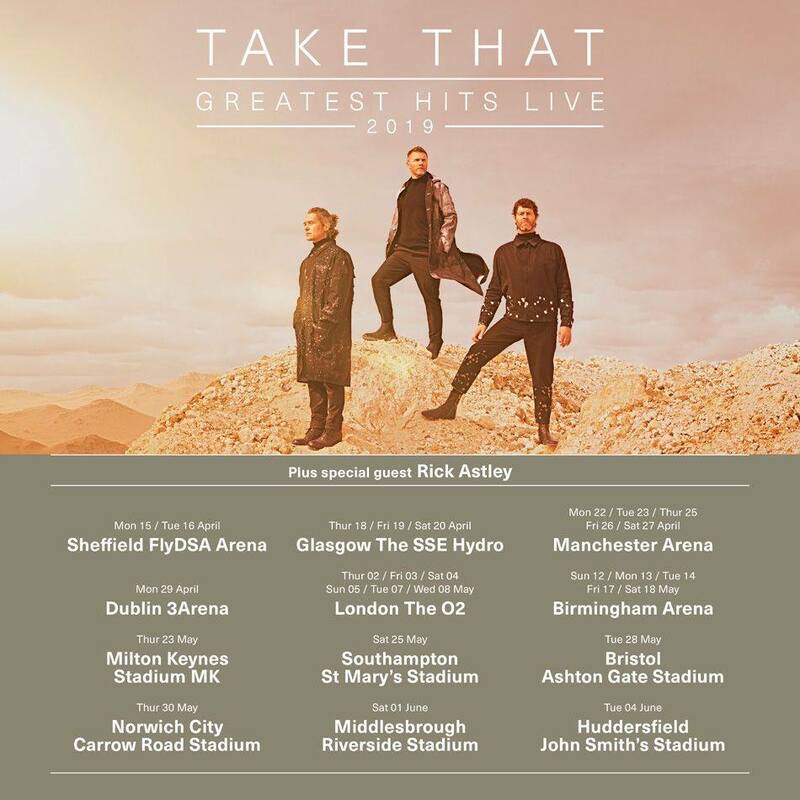 We’ve had to be on our best behaviour and remain tight-lipped for almost 2 months, but FINALLY, we’re so excited to announce that our Birmingham and Newcastle Voice of the Town choirs will be performing with Take That on their upcoming ‘Greatest Hits’ arena tour this May/June. We’ll be performing live with the guys on 8 shows, with 7 of them at the stunning Birmingham Arena (May 12th to 19th) and then a further show at Middlesbrough FC’s Riverside Stadium on June 1st. Rehearsals are well underway and not only are we thrilled to be at last able to share the news, we’re absolutely buzzing ahead of the show. The majority of shows are now largely sold out but for remaining ticket info and further details, check out the official Take That website.